Are you studying abroad? Taking classes? 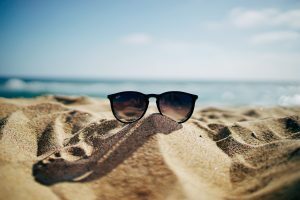 Summer is a great opportunity to start a blog and talk about your travels, reflect on classes you are taking or write about a new skill you are learning. Blogging is a chance to put the photography skills we all learned in Gateway to use. Find something you want to write about and do it! Read books for pleasure. Whether you are on a plane, by the swimming pool or in your backyard, pick-up a book and read it. If you are unsure what to read ask your professors or friends for recommendations. This is a great time to get certified in Hootsuite, CISION, Google Analytics or anything else you may be interested in. As students, it can be challenging to find time in our busy school schedules to do these things. So, take advantage of these three months to learn a new skill and get certified. Gather all the materials you have created in classes, student groups and internships. This will save you a lot of time in the future when you are creating your portfolio/website. If you already have the content and are ready to create a portfolio, great! Go for it! Summer is a great time to work on your portfolio. Find people in your town that are doing something you would like to do in the future and take them out for coffee. It’s never too late or too early to network and learn from someone in the industry. Did you talk to someone a couple of months ago? Send them a message and ask to meet again to share an update on what you have been up to. Be sure to take some time to relax. Go to a museum, concert, spend time with friends or watch a movie. You have worked so hard this year so, take some time for yourself. Do things that help you unwind and will help fill you with energy for next year. Relax and recharge!